The Contract Notice for the next framework for certified companies (formally known as identity providers) has now been published in the Official Journal of the European Union. The procurement documents are also publicly available to download - look under the heading 'Procurements being run on behalf of customers' or search the page for 'verify'. We'll be holding a briefing event in London on 8th January for all prospective bidders to answer questions about the procurement. To take part, bidders need to register by 6th January. The details of how to register are available through the Crown Commercial Service e-sourcing suite. Potential bidders can ask questions by using the messaging tool within the e-sourcing suite. 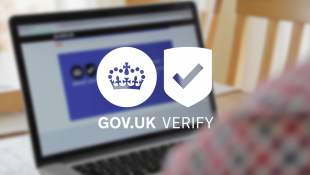 We will also answer questions here on the blog and through our Twitter account (@GOVUKverify). We will send all the questions and answers to those that have registered on the e-sourcing suite. This is so that prospective bidders can have an official channel they can rely on to receive all the relevant information. as you have previously noted that the SAML spec there is out of date. Hello Mark, Thanks for your question. The versions of the documents that should be used for the purposes of the procurement process are as follows. These are all listed on and linked from the collection page on GOV.UK you've referred to (https://www.gov.uk/government/collections/identity-assurance-enabling-trusted-transactions), with the exception of the IPV Operations Manual. We will add that to the collection as you suggest. Thanks for confirming we have the latest. At what point will the necessary corrections be made so that, for example, the effort to change and test issues such as character set compatibility can be scoped and all characters used in (at least) Welsh supported? There are other documents referenced in the call, eg G3.1.2..
Hi Mark - thanks again for your questions. The updated SAML profile will be published in January. For the purposes of preparing bids, please use the existing profile (v.1.1a). The Certification Practice Statement (CPS) and certification policies are not published. We'll publish a summary document for use by bidders by Tuesday, 23 December. We use UTC for the purposes of consistency across organisations so that all their logs are consistent. Any chance of an updated SAML profile yet? UTC for logs makes sense, but for specifying when a service is available to users, the local time zone of the majority of users would seem a more user-centric way to specify what is wanted.